Here's what people are saying about our new droplet sponges! "Yup, these sponges are amazing! I was able to sponge about 4 kids per load! Really helped me speed through the line!" "Try one and you will see why it’s worth it. It’s one of the best investments I’ve made. The shape is amazing and it looks so professional. Once I started I cannot use the other types anymore. " "Check out these amazing signature tear drop sponges for face and body painting from @creativekingdom.store They’re a real GAME CHANGER if you’re an Artist Who love to body paint and face paint! These have all been cleansed and sanitized....(bc I’m such a fanatic about all my kits being immaculate🙀🙀🙀😻) They allow us to get in all the right places with such ease and they hold a ton of product if you choose to load them up! A lil also goes a long way! Try dabbing the ends for perfect circles too! Which do you prefer!? Ohhhh check out the brand new green one I’ve been saving bc it ends up looking like the other two one just one use! This drove be nuts before discovering these new sponges from @creativekingdom.store"
"Downsized my kit this year! Really loving it now! Especially the latest addition of my droplet sponges from Creative Kingdom Store"
"Here's a lovely lady Troll I made with one of my new droplet sponges!" "Playing with these new droplet shaped sponges by @creativekingdom.store They're so soft!... I'll be posting some designs featuring these amazing droplet sponges soon!" "Even tho I love my always wicked sponges and they have done me well, I have to say my @creativekingdom.store sponges are so so so much better and they are my top sponges in my kit. So easy to wash, paint comes out so easily I'm not having to really scrub them and NO STAINS! No more using sponges that are clean but look nasty. And because of there shape fits so much better in the eye area and can even be used as a dotter sponge. 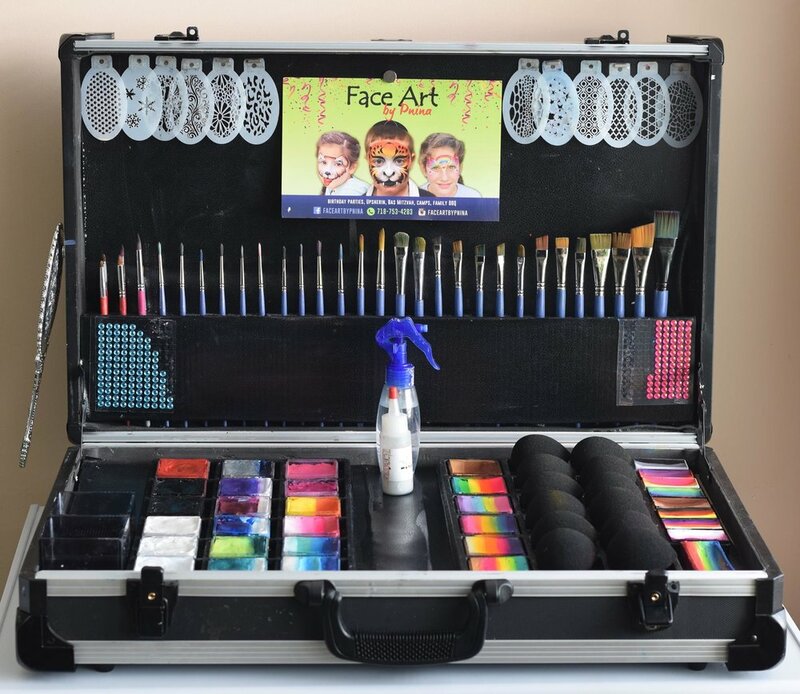 So for all my other face painters out there you have to try out these sponges, they are a must have for your kit!" the sponge painted ALL of the pink base. I really need MORE!!! 💕💕💕"
"I really love these sponges! I especially like how easy they are to manipulate into all the spaces of a face and easy to combine different colors to create custom split cake-like combinations!" "These sponges are high quality and they work great for getting in the corner of the eye.. It’s so much easier. Also, since they are black and don’t show stains, they look cleaner and more professional. I’m really happy with these sponges and imagine I will be using them for a long time to come." "The Droplet Sponges work really well for face & body painting. I don't have to dye them black and they are the right shape!" I really like the tear drop shape of these, I love how they fit in the eye socket perfectly. I feel like these are great for eye designs specifically, I tried them out for the entire face and they weren’t ideal for getting fast solid coverage, maybe with practice? 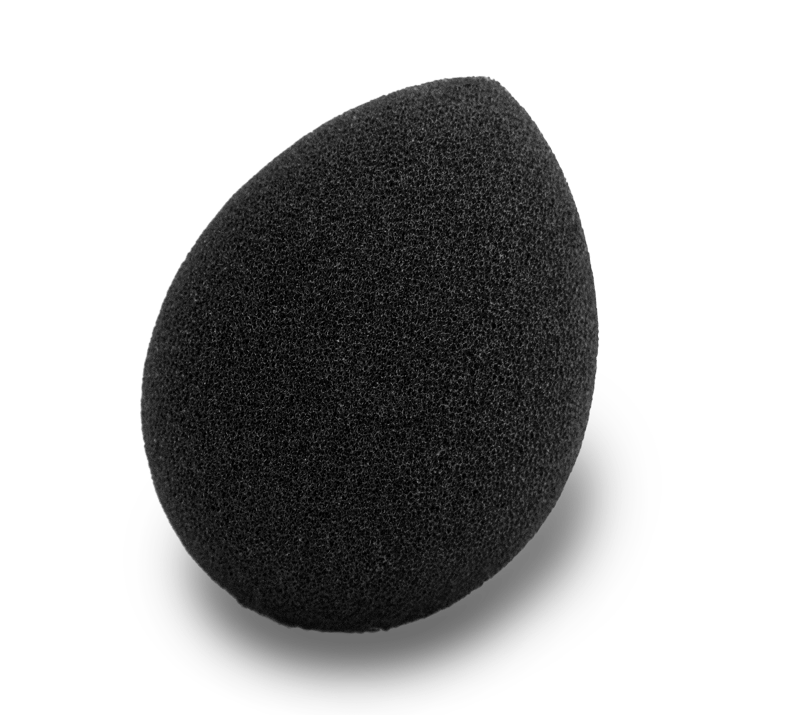 BUT, for blending on the forehead chin and eyes this was my go to sponge. I used them for a high volume event to make sure I really got to know them before I sent you any feedback. I definitely would want more of these, it’s a good shape which cuts down time. The traditional sponges I need to try to make pointy spots or rounded areas. This one I didn’t have to try which is nice. We want to thank each and every one of you for trying something new and taking the time out of your day to leave all of your reviews and share your awesome photos with us! Would you like to leave a review? Leave a review on our Facebook Page or Tag us in a photo on Instagram for a chance to be featured! Order just a few and see how you like them. You can always come back and order more later. Plus, we offer FREE SHIPPING to the US and Canada! Our most popular sponge. We specially engineered this sponge just for you! A traditional sponge using our signature black material. We made this for artists who are more comfortable and familiar with this shape. This is a very small sponge that can wedge itself into the tightest nooks and crannies.